Iran’s intervention in Syria has prolonged the conflict, inflamed sectarian tensions, and allowed terrorist groups to penetrate Syrian territory, exacerbating the cost of the war on the Syrian people in terms of casualties and economic loss, experts told Diyaruna. 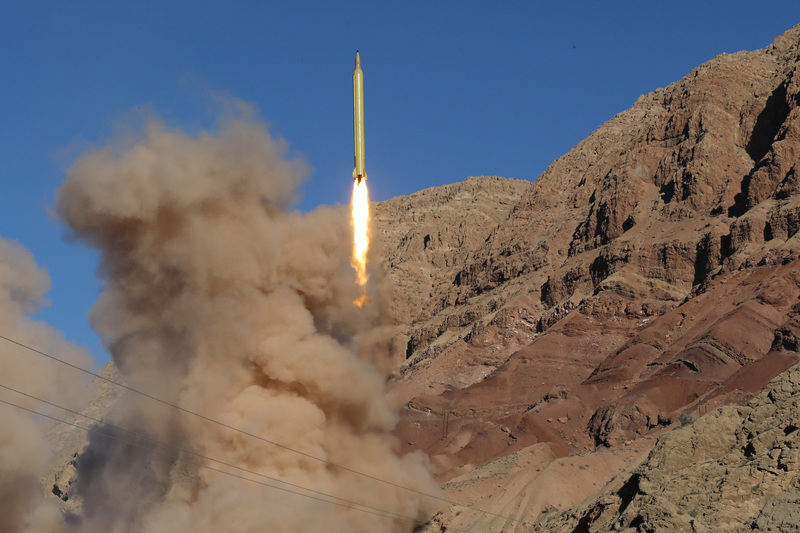 "Iran's military intervention in Syria was obvious from the outset of the Syrian war in 2011," said Fathi al-Sayed, a researcher specialising in Iranian affairs at the Middle East Centre for Regional and Strategic Studies. "When we talk of Iranian intervention, we mean direct involvement by Iranian elements or intervention by elements of militias affiliated with the Islamic Revolutionary Guard Corps (IRGC)", most notably Lebanese Hezbollah, he told Diyaruna. Iran inserted combat groups, comprised of both Iranian and of other nationalities, he said, to suppress protesters even prior to the conflict devolving into all-out war. "The strongest evidence of this, despite denials by Iran and affiliated militias, are the announcements of the names of dead Hezbollah members who were killed in Syria," said al-Sayed. Prominent examples include the 2011 death of Hassan Ali Samaha, one of the party’s first fighters to die in Syria, and whose funeral was held in the town of al-Karak in the Zahle region in eastern Lebanon; and the 2012 death of Mohammed Hussein al-Hajj Nassif, aka Abu Abbas, one of the party’s most prominent commanders in Syria. Hezbollah did not admit it had fighters in Syria until 2013 in a speech by secretary-general Hassan Nasrallah. This intervention contributed significantly to worsening the conflict in Syria, al-Sayed said. "The main objective of the early Iranian interventions was obvious, and that is to turn the Syrian popular [protest] movement into armed clashes with a sectarian nature by inciting strife between the Sunni sect on one side and Alawite and Shia sects on the other, holding the Syrian people hostage to this policy," he said. "The ongoing battles in areas [across] Aleppo province and near the city of Aleppo specifically have revealed the infinite support Iran has provided to forces of the Syrian army," said Saleh al-Afisi, a Free Syrian Army (FSA) officer in the city of Aleppo. Many of the current war fronts, such as the al-Khalidiya and Bani Zayd fronts in Aleppo, are manned by Iran's al-Quds force and Hezbollah forces, whose moves on the ground are directed by military operation rooms overseen by Iranian officers, he said. 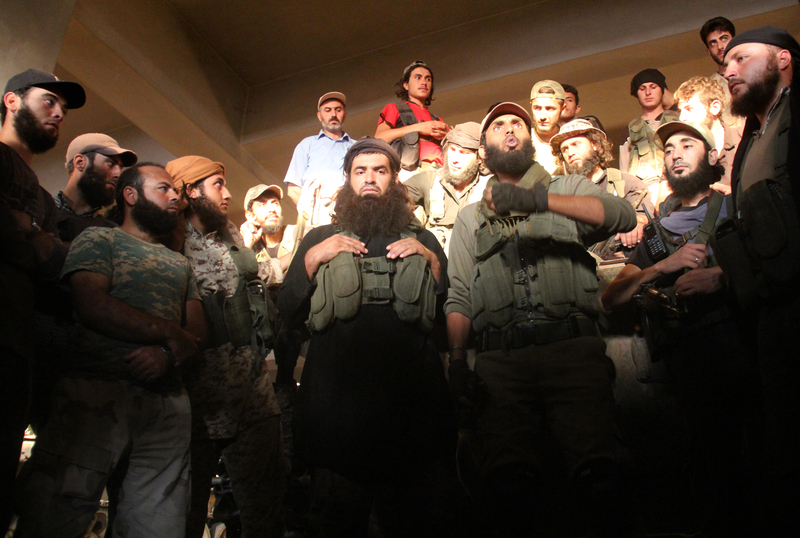 He added that these groups have been spotted by FSA elements and many of them have been captured. "If it were not for the Iranian intervention and non-Syrian military factions it brought along to fight the opposition factions, Syria would have seen tranquility three years ago with the end of the battles", al-Afisi said. Several militias were formed under the supervision and with the support of the IRGC and are currently deployed in numerous areas across Syria, he said, from the Lebanese border to the coastal areas and Damascus, up to Hama and Aleppo. What is remarkable, according to al-Afisi, is the presence of many nationalities, including Lebanese, Iraqis, Afghans and Pakistanis. He said other IRGC-backed groups were also known to be present, including Iraqi groups al-Badr Corps, Abu al-Fadl al-Abbas Brigade and Asayib Ahl al-Haq, and even Yemeni groups were spotted near Damascus and go by the name Ansarullah. "Iran's direct involvement in the Syrian war has boosted the presence of takfiri and terrorist groups, giving Iran an excuse to have a presence in Syria to fight the groups it brought over from various countries," said Sami Gheit, a researcher with Al-Sharq Centre for Regional and Strategic Studies. "Whoever monitors and closely examines the course of events in Syria will see that the accelerated proliferation of global terrorist groups, particularly al-Qaeda, coincided with reports pointing to the Iranian intervention," he said. Consequently, this led to the conflict turning into a direct confrontation between groups established on sectarian grounds. "There are several clues that point to Iran’s involvement the outset with support from a number of al-Qaeda emirs who had fled to Iran from Afghanistan, and then moved to Iraq and from there to Syria," he said. Gheit said a number of them founded al-Nusra Front (ANF), which is the Syrian arm of al-Qaeda, while a second group founded the "Islamic State of Iraq and the Levant" (ISIL). "With these actions that provided full support to terrorist groups and by keeping the situation in Syria inflamed, Iran guaranteed that tension will continue to grip not only Syria but the entire region as well," he said. 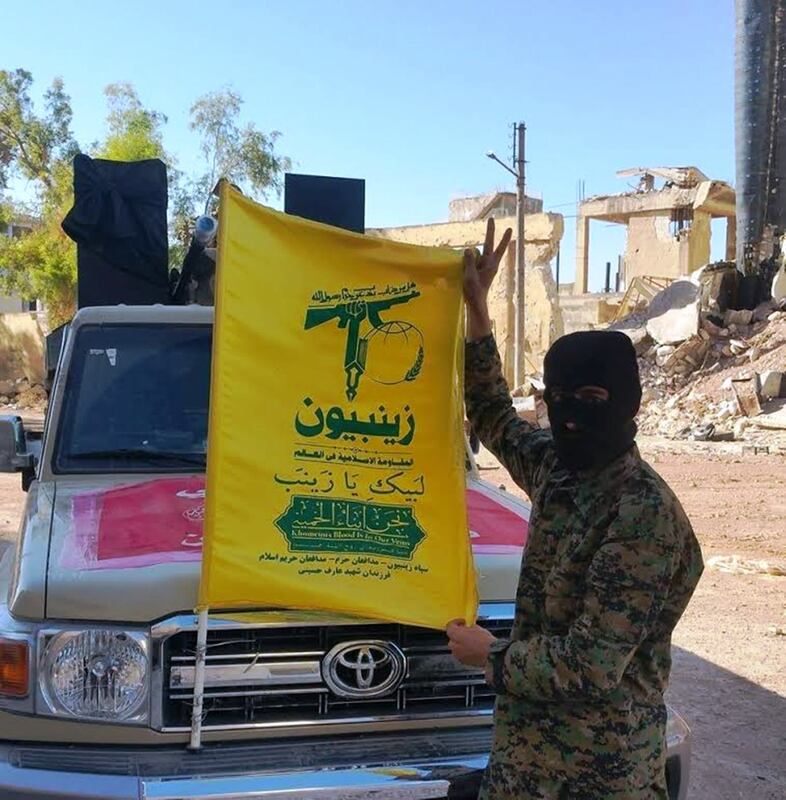 The Zainabiyoun Brigade is comprised of Pakistani Shia recruited by the Islamic Revolutionary Guard Corps to fight for its interests in Syria. The Iran-backed group's fighting alongside the Syrian regime has drawn terrorist groups and other actors to Lebanon.